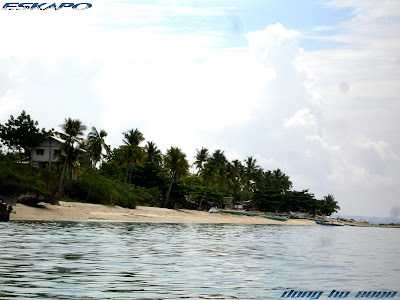 it was time for us to leave the island but we kept on talking about how beautiful the corals and the creatures are. 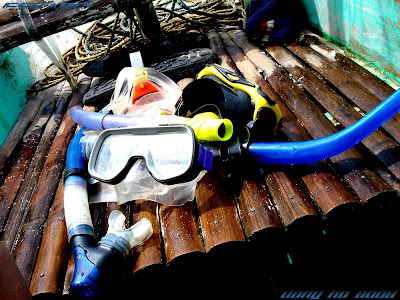 we set aside our diving masks and snorkels as we look forward to see our next destination. Hilantaga-an island was our final stop for the island hopping. 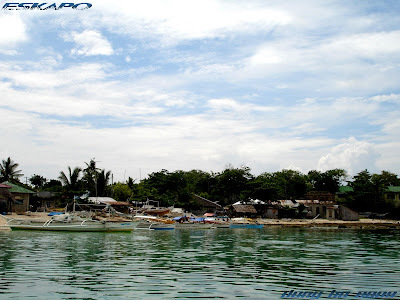 if the Virgin island maintained a serene environment, this island is busy because it is occupied by fishermen. you will see houses and fishing boats along its shoreline but the water is still clear. what's good is that the officials of Bantayan opened this island to the locals for them in order to keep them from occupying the well preserved Virgin island. but a large part of this island are still haven for snorkeling. 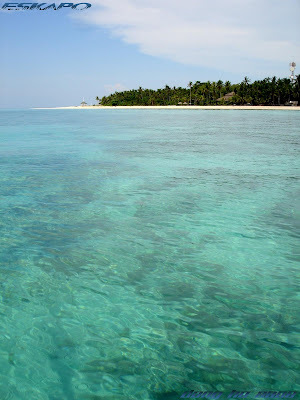 since we spent so much time snorkeling at the Virgin island, we decided to return to Sugar Beach resort in Bantayan island while closely passing by Hilantaga-an. the view of Bantayan island from afar reminds us of our independence to freely travel and enjoy the 7,107islands that our country offers. today we celebrate and commemorate our independence. 110years of Philippine independence. happy Independence day! Ganda nong bahay sa dagat. mapupuntahan ba yan? the number 1 and 7 pics are most of my fave. Btw,I added you up in my site, hope you'll add me too. I love the perpsective of these photos. I feel I am gliding along with you in the water. They are very peaceful. Ohh Yeah! I totally forgot today is the day of our country! Have to blog it. You have great shots! Beautiful beach! Love them. I've always loved the beach... that's the one i missed most! Nakakainggit ka naman!!! Love the shot of your gear. Great angle! That does look like a very busy island. What a beautiful place it is. >redlan, hindi sya bahay. isang guardhouse para sa area ng pagbabantay sa Virgin island. >hi honey, many people do imagine that. i sometimes imagine that also but i got used to it already. hehehe... happy independence day! sure. thanks for adding me in your blogroll. >l.reis, yes. definitely. more beautiful if you were there yourself. >hi sandy, thanks. im happy that it helps you become part of that journey. >hi aisha, thanks! im glad this blog reminded you of this special day. 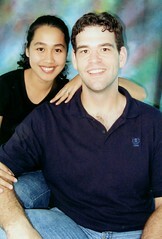 >hi em, i hope this photos will convince you to visit the island too. >hi karen, yes. it is a busy island. thanks for your greetings! Been watching all these photos ... man, I'm impressed ... what a stunning place that is! >quinttarantino, a very beautiful island. thanks for the greetings! >dakilang islander, happy independence day! I hope you got some use out of those goggles. very nice post! >bw, yes. they value their sea so much. >luke, hahaha... of course we did. I'm sure snorkeling in such rich waters was an experience worth remembering. 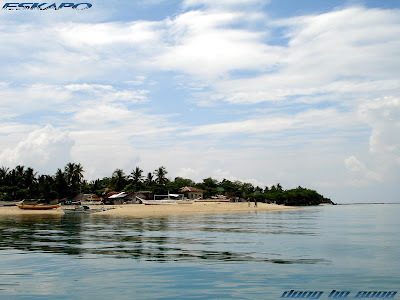 I've never been to that island but my sister-in-law was from there and I used to have a classmates from there.....I heard from them that fishing are the main works of the people and Bantayan is among the islands of Visayas who produces good fish...they have nice beaches too..
>hi doc rio, hehehe... hindi naman. puro kasi pasyal nakikita mo. 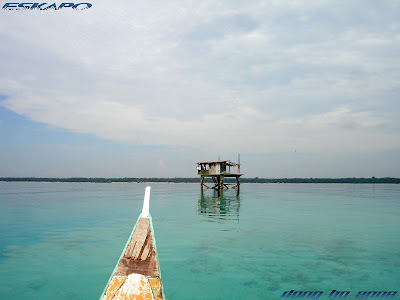 yung nipa hut ay gurad tower ng isla. hindi ko alam kung pwedeng akyatin pero parang masarap nga magpahinga dun. >hi rachel, it is one of the best birthday gift i've received this year. one great snorkeling experience. >eric, yes. yun nga ang kanilang kabuhayan dun. 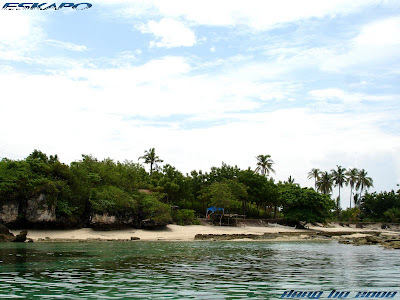 a very nice island kasi hindi pa ganun ka busy. 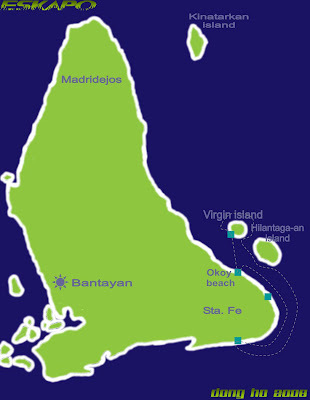 bantayan is one of the major producers of danggit. sana makabisita ka din doon. it's worth it. Hi Dong, Would love to feature you in my blog. Let me know if you're up to it. Got a couple of post of featured bloggers, you can visit and see if you want to. Just let me know. >hi aisha, sure. no problem. that would be great! btw, i like your new header. hi,DonG. checking again your I.T. in here. Sorry, i'm not so into blog now.plan change again... i might be in PI this July.I was hospitalized last month still in recuperating mode. anyway any suggestion for an island hopping backpacker style ha?